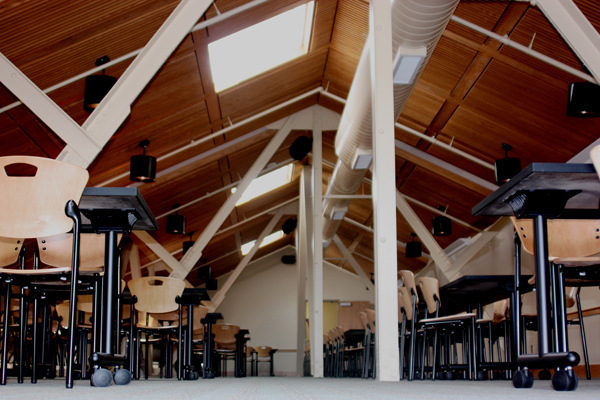 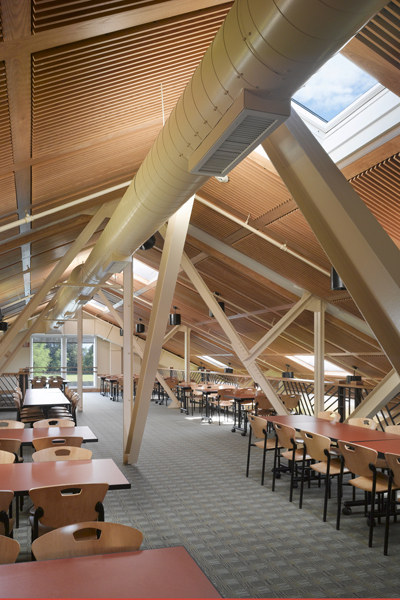 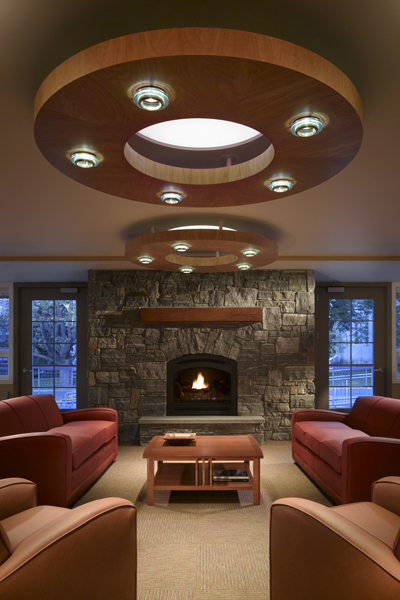 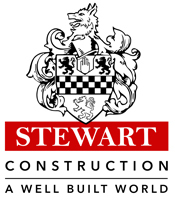 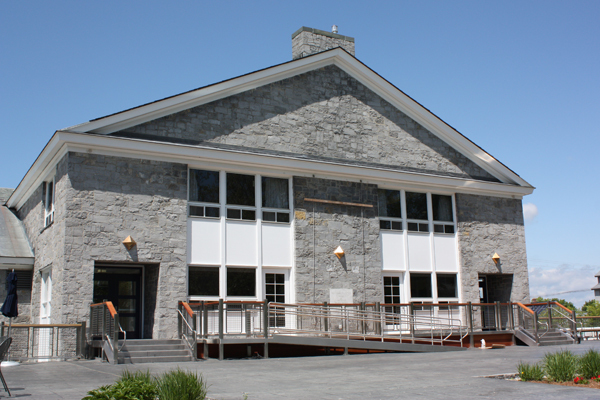 Middlebury College hired Stewart Construction as the Construction Manager for the renovations to Proctor Hall. 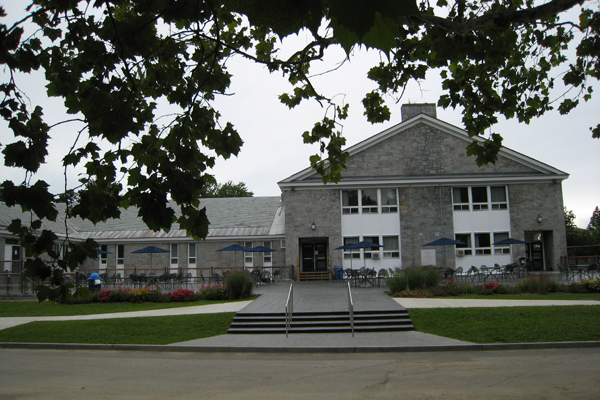 Construction began in Spring 2008 with the demolition of the 50 year old Terrace. 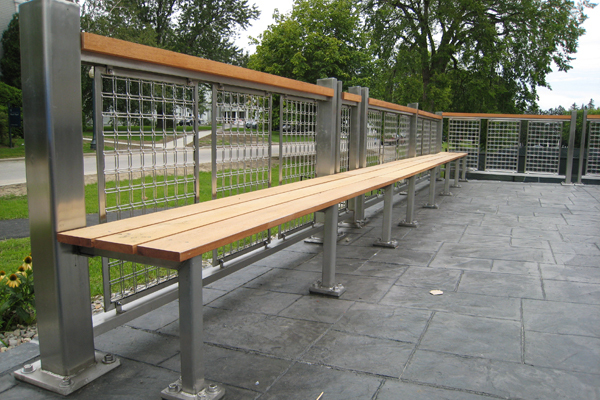 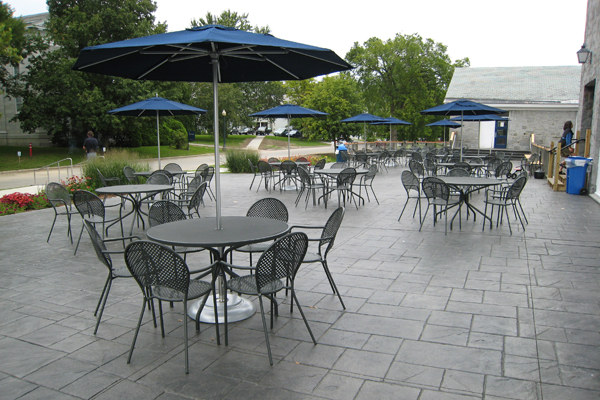 State of the art waterproofing, special tapered insulation, stamped concrete and decorative stainless steel railings set the stage for the full renovation of this important landmark on the campus, originally built in 1959. 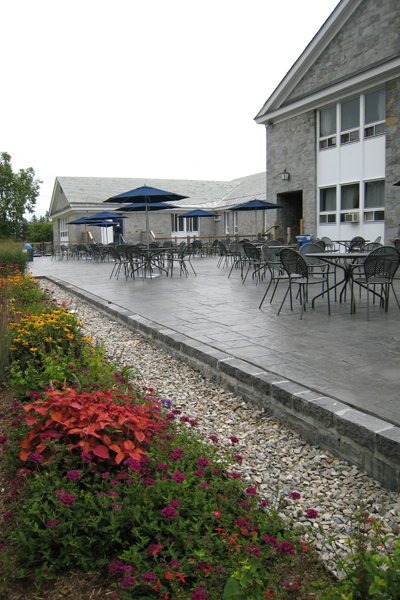 Phase 1 Terrace work was completed while all areas of the building continued to function. 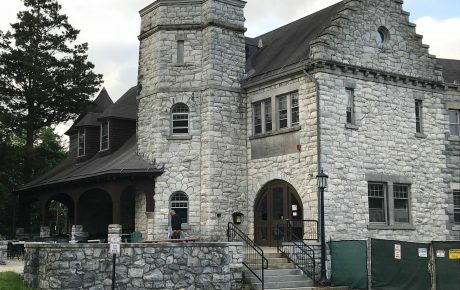 The second phase, a near full renovation of the building, was scheduled to allow for the continuous operation of the Bookstore and college Radio Station. 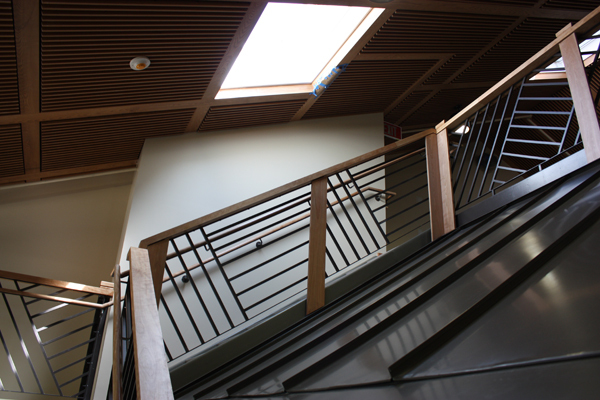 Ground floor work included a new accessible entrance into the lower level, expansion of the Bookstore, new program space, and a new covered loading dock. 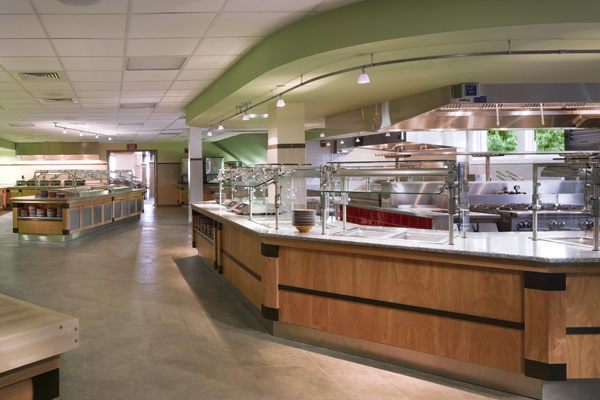 Abatement and remedial work in the kitchen was completed as well to keep with the College’s master plan. 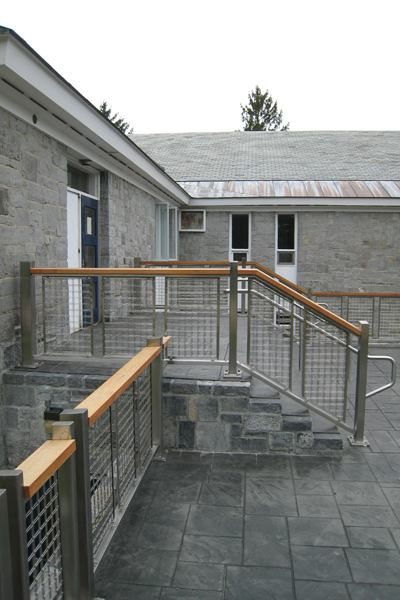 Primary entrances were made to be handicap accessible by means of a specialized ramp system, new doors, and door control devices. 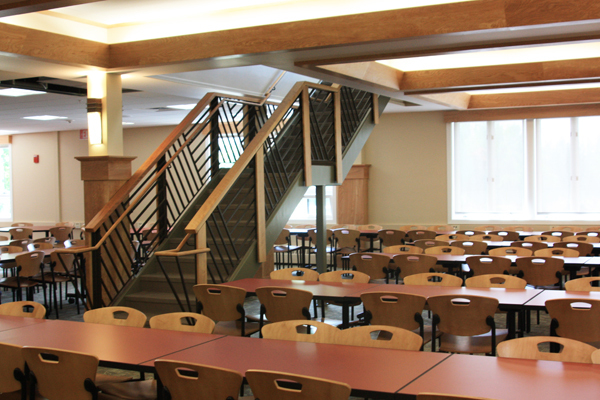 Second floor work included accessibility work, renovations to the Radio Station, and major upgrades to the Balcony Dining area. 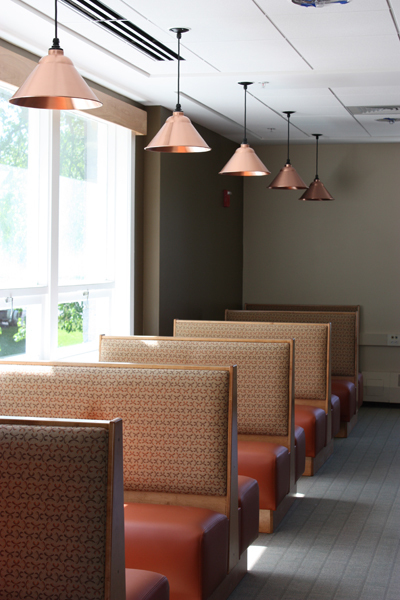 Other upgrades included building wide air conditioning, new heating system, fire alarm, energy efficient lighting, and full sprinkler system.